Dark River Rising. A debut mystery. I am delighted to host Roger Johns today at Miss Demeanors. Roger’s debut novel, Dark River Rising, launches on August 29th and I had the good fortune to read an advance copy. All I can say is get your copy now and prepare to enjoy! 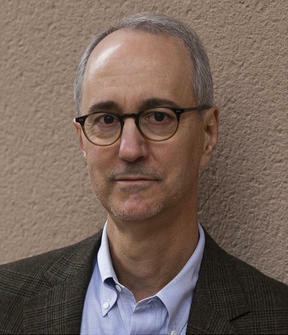 By way of introduction I’ll share that Roger is a former corporate lawyer and college professor with law degrees from Louisiana State University and Boston University. Born and raised in Louisiana – where his novel is set – he and his wife now life in Georgia. Before we get started, don’t forget to post a comment to REGISTER TO WIN a copy. We’ll pick randomly from all comments. Now let’s hear from Roger. TdeH: Roger, welcome! I’ve read Dark River Rising and I’m brimming with questions. First off, like me, you had a very different career prior to publication. How did you get your start writing? RJ: The urge to write creatively, has I think, always been with me. As a kid, I was the neighborhood nerd who organized the ‘plays’ we put on. I was the editor of my high school literary magazine my senior year. As a law student, I was the director and principle writer of the faculty roast––the Assault and Flattery Show––at the end of my third year. I also had ambitions, a long time ago, to write for television. From there, the path to being a published writer (other than the ultra-exciting academic articles I’ve published) has been the most interesting path I’ve ever been down. The manuscript that eventually became Dark River Rising went in and out of the drawer several times. Along the way, I took a very effective writing class from David Fulmer––an excellent writer and writing teacher in Atlanta. That gave me the confidence to believe I could produce a novel length manuscript. Finally, once I retired from teaching, I got serious about finishing the book. And, after two intense years of writing and rewriting, with the help of critique partners and critique groups, I got the manuscript into good shape. Then, at an Atlanta Writers Conference, it attracted the attention of April Osborn, the editor at St. Martin’s Press who acquired the book. TdeH: What led you to crime fiction? Is there something sinister about corporate law that we don’t know? RJ: I’ve been an avid mystery, thriller, and crime fiction reader since childhood, so I decided to write what I enjoy reading. And yes, there’s plenty sinister about corporate law, and no, you don’t want to know. TdeH: Setting is very important to me when I write. I think of it as almost a character and can’t imagine transplanting the story elsewhere. 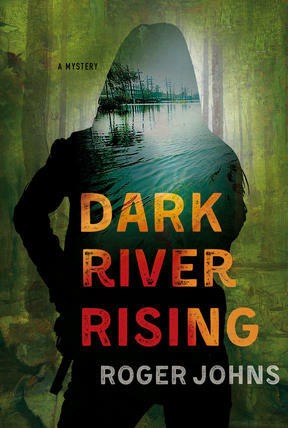 Is Dark River Rising deeply based on your life in Louisiana? RJ: Dark River Rising set itself in Baton Rouge. The city had such a profound effect on me during my college, law school and early career years that I feel I know it better than the town I grew up in. Plus, there’s something very atmospheric about Baton Rouge. It’s an interesting place, with a lot of history and a lot of mystery, and the character and the setting suit each other quite well. There’s really no place else I could imagine putting it––no other place with which I have such a deep, enduring emotional connection. I’ll be appearing at the Louisiana Book Festival in the fall, which I’m really excited about. It will be my first time back in Baton Rouge in about twenty years, so I’ll have a chance to find out if I got things right. TdeH: Detective Wallace Hartman is a strong female protagonist. What led to her creation? RJ: This was not an easy thing for me. In my earliest attempts at writing the book, Wallace was male––same name, different gender––but for some reason that I still can’t quite put my finger on, it didn’t work. Mechanically, the plot worked fine, but the character never came to life for me. As I look back on this aspect of the experience, I think this must have been one of the reasons the manuscript went into and came out of the proverbial drawer so many times. Eventually, I learned to listen to the little voice in my head, which urged me to change the character from male to female. Once I started writing the character as female, things began to move quickly. I got a lot of help from my incredibly wise and creative critique partners on how to craft a female lead. TdeH: You have a male character who assists in the investigation. Was he in the original version and was he originally a woman? RJ: To the best of my recollection, Mason, the secondary lead, was always male. The most important changes in the Mason character (and these occurred before the manuscript was picked up by St. Martin’s) were an increase in his relative importance to the plot, and an increase in his on-screen time. This came about because I found it easier to expose Wallace’s inner workings by having her react to another person, rather than just have her react to situations. Both ways work, and a book certainly needs both, but person-versus-person offers a richer more revealing palette to work with. And, I paired her with Mason, someone she didn’t already know, rather than with a member of her own department, because the idea of having her react to a stranger was more interesting. There’s always a bit of negotiation, internal and external, when we find ourselves coming to terms with a stranger. It’s more uncomfortable for the characters, but more interesting to write, and hopefully, more interesting to read. TdeH: What was the starting point for Dark River Rising? And without giving anything away…. Let me just say ‘snake’. You know what I mean! Was that in your mind from the outset or did it come later? RJ: The genesis of the story was a question that just popped into my head, one day, about why the cocaine cartels operate the way they do. The ‘snake’ came after that, but not too much later. From the beginning, I knew there would be a fair amount of violence in the story, because it takes place against the backdrop of the unbelievably violent drug cartels. So I knew I would need a visceral image to make the reader sense, immediately, this is very serious, this story is going to involve a persistent, heightened level of danger. And while it’s true that the snake is technically an important element of the plot, to me it’s an even more important element of the setting. It sets the stage and it primes the reader’s emotional pump, from the very first paragraph. That said, I think it’s important to mention here, that while there are some dark parts, there are also some funny and light-hearted aspects, as well. And while it is a plot-driven book, it is still a story about Wallace Hartman, a woman on the cusp of middle age who happens to be a homicide detective working hard to solve a rather startling crime. I don’t see it as just a crime story that happens to involve a female police detective. For me, Wallace is the main attraction and she is my primary motivation for writing. It didn’t start out this way, but I’m quite happy that it has ended up this way. TdeH: What got left out of the final draft? Or added? RJ: Two of the most important additions were the resurrection of one of the characters that I had originally killed off, and the addition of a scene at the end so that Wallace is not so untethered from the aftermath of the events in the story. We get a chance to see more clearly how she, personally and professionally, will be shaped by what she has just been through. April, who has the most incredible instincts about what makes a story work and work best (and I know this, not just because of her impact on Dark River Rising, but because I’ve read other novels she has edited) led me to these changes. Gently but firmly, she pried me loose from my inclination to ‘kill ’em all, let God sort ’em out’. Without question, these changes significantly elevated the quality of the narrative and most certainly broadened its appeal. TdeH: Dark River Rising releases on Tuesday, August 29th, barely a week away. How will you be celebrating? RJ: What a day, that’s going to be. It’ll be so wonderful to be able to thank all the people who were so helpful with the writing and who provided such amazing emotional support. TdeH: Can you say something about where we might see Detective Hartman next? RJ: Wallace will be faced with solving a murder that appears to involve race and politics. TdeH: Roger, it’s been such a pleasure to chat. And thanks for offering to stay on line with us today to answer any questions your future readers might have! I’m certainly looking forward to appearing with you at Fox Tale Book Shoppe in Woodstock, GA (in the Atlanta metro area) on September 16th. For details and for other appearances please look Roger up on line at rogerjohnsbooks.com or on Twitter @rogerjohns10 and on Facebook. And don’t forget to POST A COMMENT by midnight tomorrow (August 25th) to REGISTER TO WIN a copy of Dark River Rising.